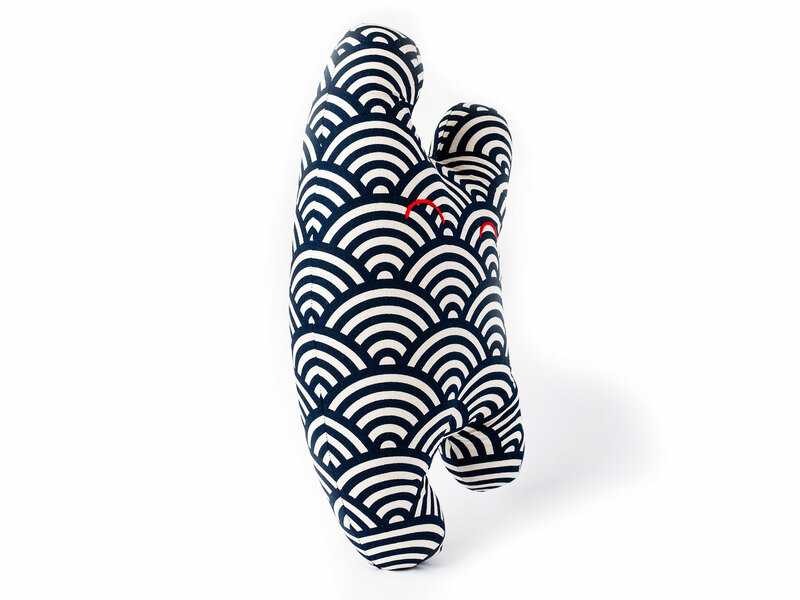 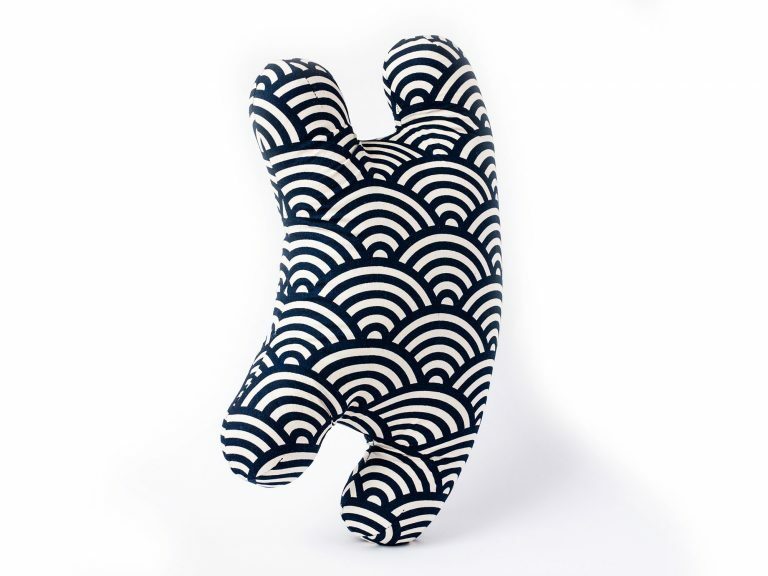 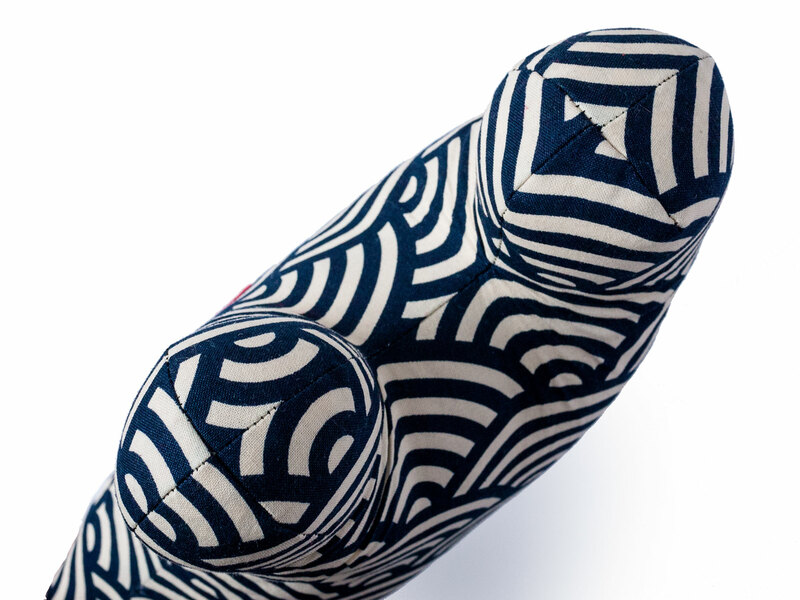 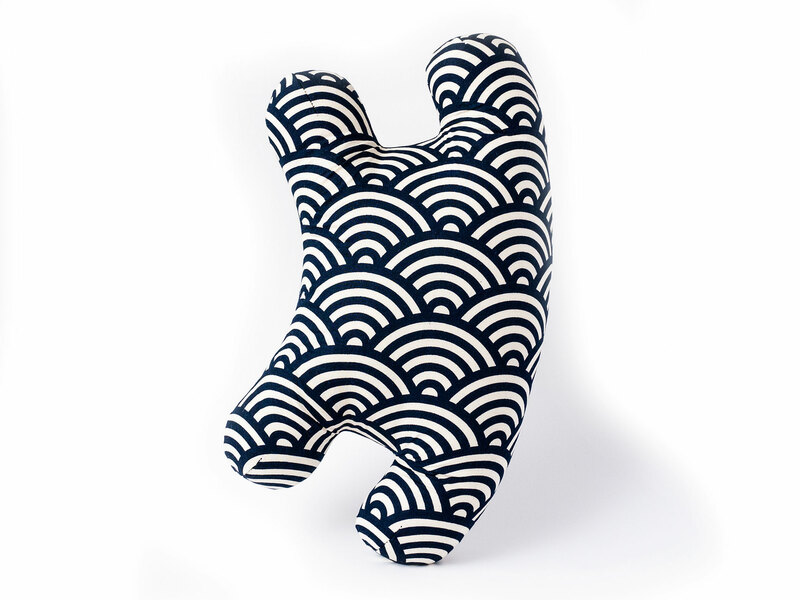 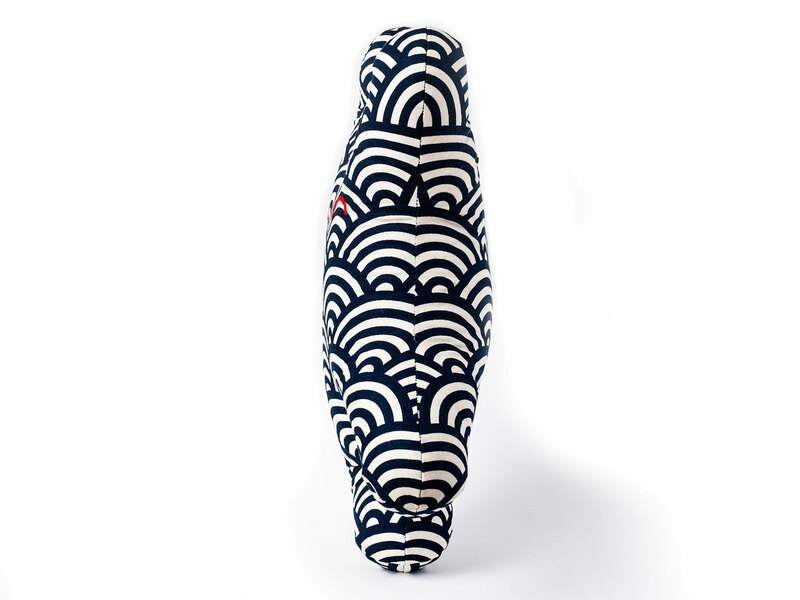 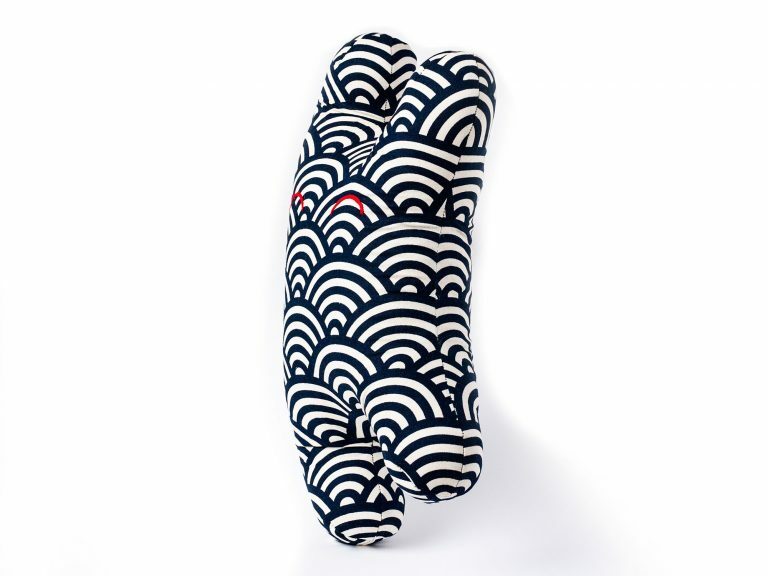 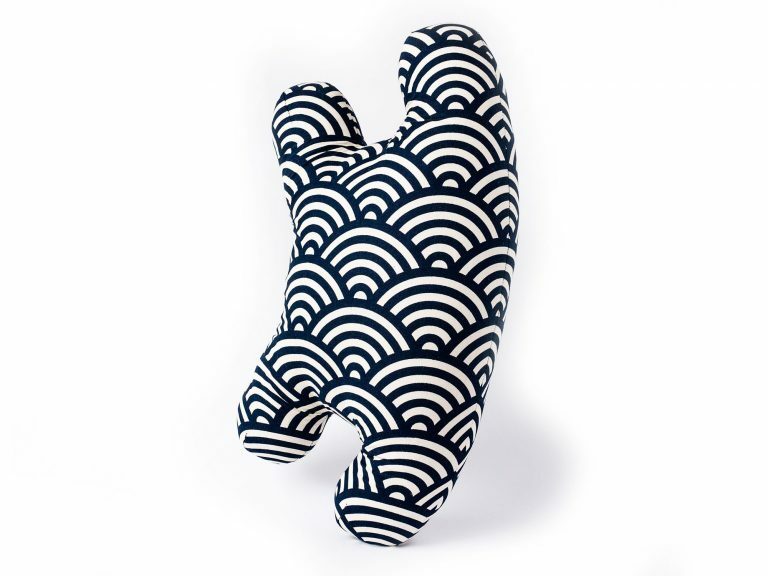 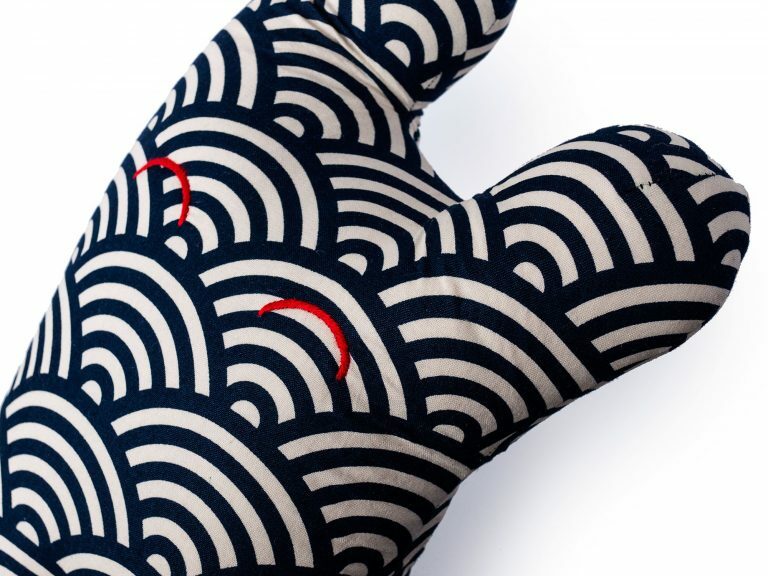 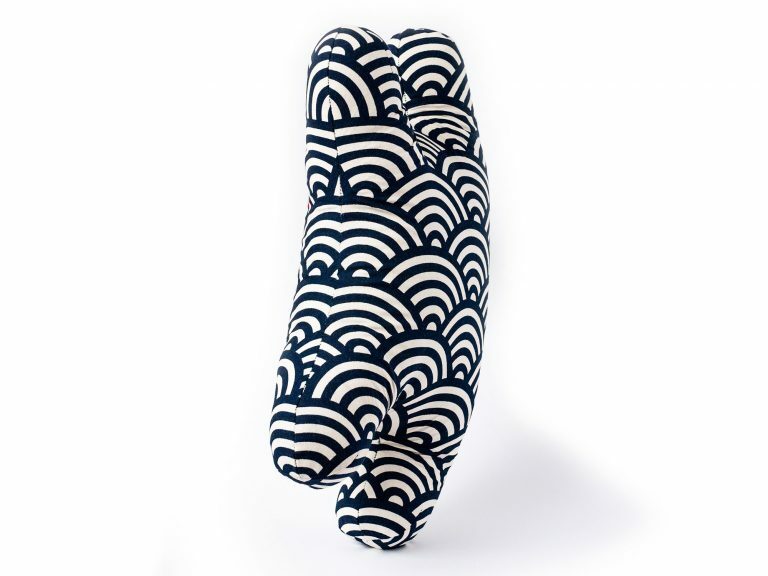 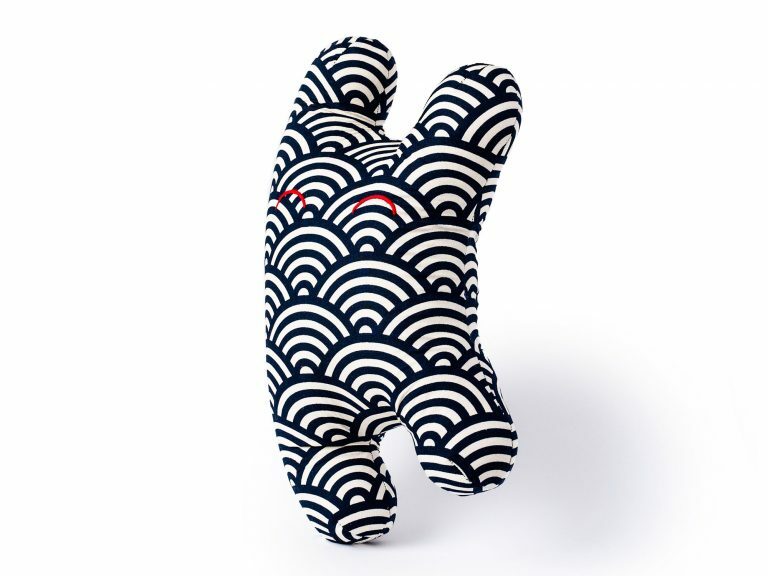 Happy Sleepy Seigaiha-chan is a one of a kind textile sculpture handmade from Japanese fabric. 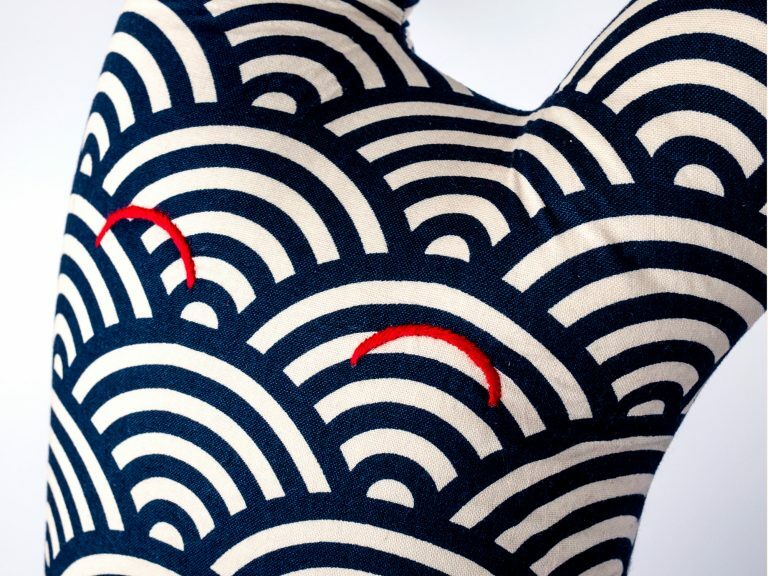 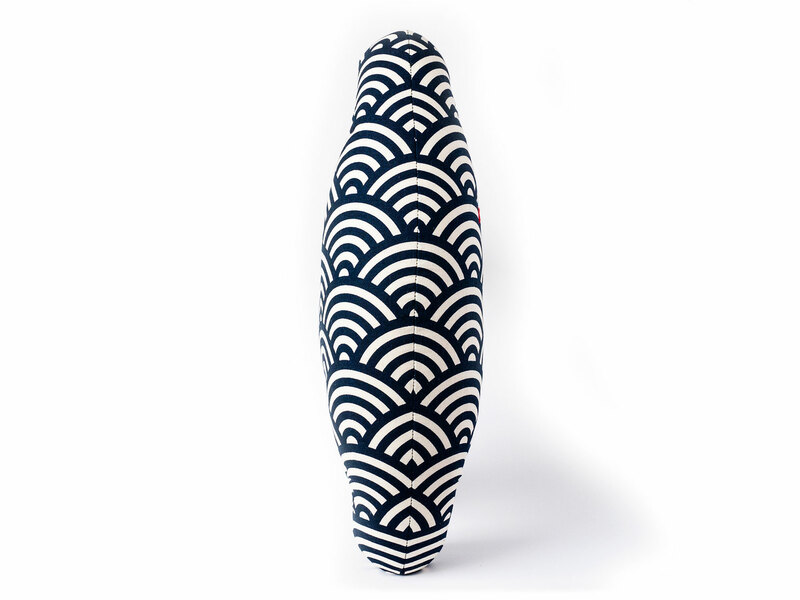 The fabric is printed with a traditional pattern of overlapping circles that resemble waves. 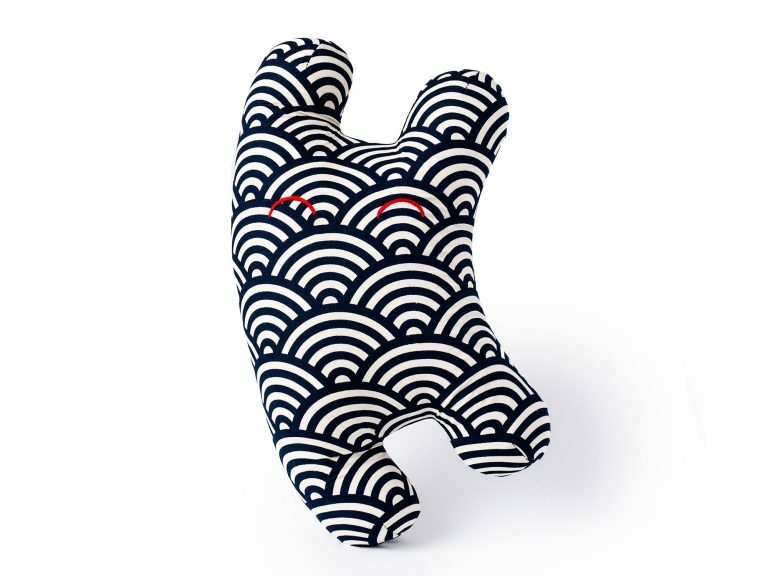 The name “seigaiha” means “blue ocean wave”. The eyes are hand embroidered with red cotton embroidery floss.